SevenHills Hospital is a leading multi super-specialty tertiary care hospital established in 1986 and has been a premier healthcare services provider for more than three decades. Built on sprawling area of 17 acres, this world-class facility has 1500 beds with over 30 super-specialties offering excellent outpatient and inpatient facility. The hospital has maintained par excellence in quality of clinical care and safety standards, and is dedicated in providing the best possible medical services. There is an in-campus residential facility for doctors and medical support staff which can accommodate more than 300 experts, thereby assuring round the clock availability for experts for consultation. Facilitated with 120 OPD, 24 dialysis units, 36 high-tech operation theatres and 4 Catheterization labs chambers aside from 300 bedded Critical Care Beds (ICU, NICU, PICU, Neurological ICU). The Imaging and diagnostic Department is equipped with latest technologies like 3 Tesla MRI, Digitalized X-Ray, USG, CT-Scan. Possess futuristic nuclear medicine technology like SPECT/CT which provides best possible quality of image used in various interventions. The Radiosurgery Department is facilitated with top-class machinery for radiation delivery, like LINAC Accelerator (Novalis Tx) and High Dose Rate (HDR) Brachytherapy. Advanced equipment such as EEG (Electroencephalography) for Neurological tests and Motorized Thrombectomy System for blood clot removal. C-Arm Scan for Minimal Invasive Surgery and provides more comfort to the patient while operating. 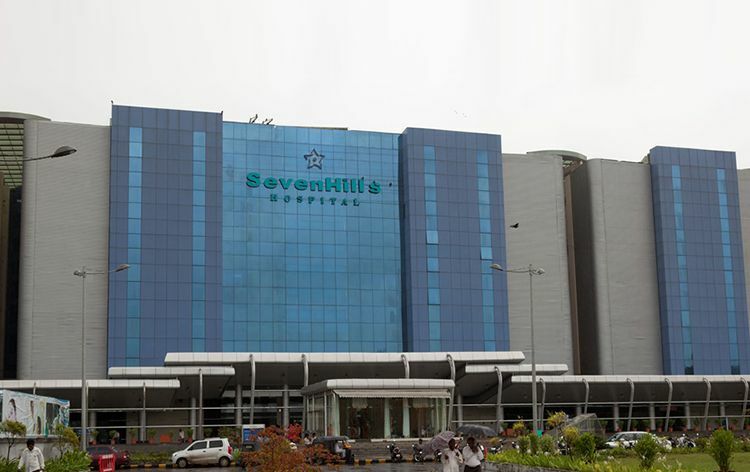 SevenHills Hospital is a highly renowned hospital in India, offering outstanding healthcare service to all the patients, coming from different parts of the nation or abroad. The hospital is well accredited by national and international organizations, and stringently maintains the standard of quality clinical care and infection control. International Patients are warmly received and cared for in this hospital, ensuring they get the world-class medical care under the hands of highly qualified medical experts. Nearest Airport: Chattarpati Shivaji International Airport which is 3 km away from the hospital and can be easily reached from. Nearest Railway Station: Andheri station which is about 6 km away from the hospital. SevenHills Hospital performs 386 different procedures. Click on a procedure name to see more details and to view doctors for that specialty. 4.4 average based on 59 reviews.